Sorry, this job expired on Feb 1, 2019. Below are other jobs that may be of interest to you. James Beard Award winning and Michelin Starred Chef Fabio Trabocchi is now hiring Back Waiters (Server-in-Training) for his restaurants. 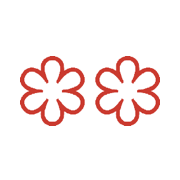 We are seeking experienced and confident people who understand the standards of world class service and hospitality, so if you'd like to be a part of a growing restaurant group and work with some of the city's best hospitality and culinary professionals, we would love to meet you! The Back Waiter is an essential member of the dining room trio – which includes the Captain and the Food Runner. Back Waiters are responsible for table maintenance, such as clearing finished dishes, refilling wine and beverages, marking settings for the next course, and ensuring the flow of service. As Servers-in-Training, back waiters also assist Captains with wine and beverage service and may assist with tableside service such as fish filleting and meat carving. Experienced candidates can be considered for any of our locations depending on preference: Fiola (Penn Quarter), Fiola Mare (Georgetown Waterfront), Casa Luca (City Center), Sfoglina (Van Ness) and our forthcoming, Del Mar (The Wharf). Fabio and Maria Trabocchi are a dynamic duo in Washington DC's restaurant scene, driven by hospitality, quality and authenticity. They founded Fabio Trabocchi Restaurants in 2011, which today includes Fiola, Casa Luca, Fiola Mare, Sfoglina, and the forthcoming Del Mar. Their deeply-rooted respect for hard work and family tradition forms the moral and cultural foundation of their lives and work. Restaurants have been their way of life since they met in Washington in the '90s. Fabio's culinary expertise and pursuit of perfection paired with Maria's natural style, beauty, and grace. Entertainment Cruises - Washington, D.C. 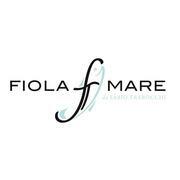 Evoking the seaside dining experience found along the coasts of Italy and the Mediterranean, Fiola Mare specializes in the freshest, most pristine seafood prepared with elegant simplicity through delicate and subtle additions of color, flavor and texture. Fabio Trabocchi Restaurants is an equal opportunity employer committed to hiring a diverse workforce and sustaining an inclusive culture. Fabio Trabocchi restaurants does not discriminate on the basis of disability, veteran status or any other basis protected under state or local law.